Choosing a CPU for your new computer is never easy, especially if it's been a while since your last purchase; it's difficult to know exactly what to look for. In September, Intel launched its Core i5 CPU: the mainstream version of the Core i7. 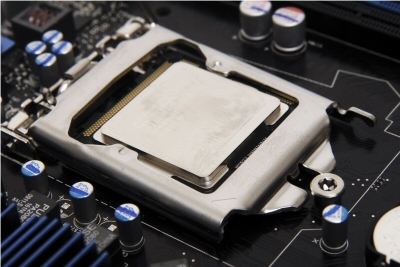 The Core i7 CPU was released over a year ago and is aimed at high-end users and enthusiasts. The Core i5 750 CPU. The Core i5 is a quad-core CPU that includes a lot of the technology used in the Core i7 900 series, but there are a few differences: the Core i5 750 doesn't have Hyper-Threading, it supports dual-channel DDR3 1333MHz memory rather than triple-channel DDR3 1066MHz (but it still has a lower memory bandwidth), it requires a different CPU socket (LGA1156 as opposed to LGA1366), and it has an integrated PCI Express controller. It's important to note that a Core i5 CPU will not fit into a motherboard designed for Core i7 900 series CPUs. The Core i5 will run on motherboards that use the Intel P55 chipset and have an LGA1156 CPU socket, while the Core i7 will run on motherboards that use the Intel X58 chipset and have an LGA1366 CPU socket. To further confuse the issue, Intel's Core i7 800 series CPUs are very similar to the Core i5; they also have two memory channels and work in a P55 motherboard with an LGA1156 CPU socket. The main point to remember is that the Core i5 will not fit into a motherboard designed for an Intel Core i7 900 series CPU and vice versa! The Core i5 won't fit into a motherboard designed for a Core i7 900-series CPU. The Core i5 750 is currently the only model available in the Core i5 range, and PC manufacturers are already using it to build good value mid-range PCs. The Core i5 750 has a speed of 2.66GHz, an 8MB, full-speed Level 3 cache, virtualisation technology (so you can run Windows XP mode within Windows 7, for example), and it features Turbo Boost technology. The CPU speed can be bumped from 2.66GHz to 3.2GHz dynamically; the speed is based on how many cores are in use at the same time. For example, when three or four cores can be used to process a particular task, the maximum speed will be 2.8GHz; if only one or two cores can be used to process a particular task, the cores will run at 3.2GHz. What you get in the Core i5 is a CPU that will run very fast yet won't get too hot. It's built using the Nehalem CPU architecture, in which the transistors are 45 nanometres long, and it has lower thermal characteristics than the Core i7 900 series and the same thermal characteristics as the Core i7 800 series. 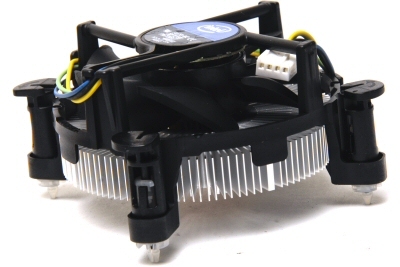 The Core i5's stock CPU cooler. 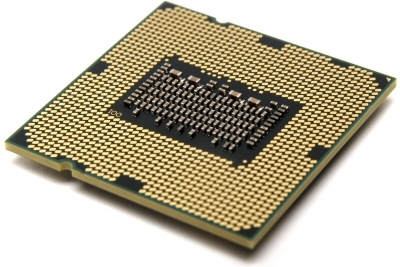 Like the Core i7 800 series CPUs, the Core i5 has approximately 774 million transistors; Core i7 900 CPUs have 731 million. All four CPU cores are on the same die (just like AMD CPUs), rather than being individual CPU dies with external links like Intel's Core 2 Duo CPUs. There is no front-side bus connection to the motherboard chipset; instead, there is a direct link to the chipset called DMI. This is similar to the HyperTransport technology that AMD uses in its platforms. Below is a selection of PCs that we've tested recently that use Core i7 or Core i5 CPUs, which will give you an idea of how fast the new CPU is and if it's worth your while. We think it's a good value mainstream CPU which can be used to create powerful systems for a reasonable cost.